Founded in 1987, The TDA Group of Los Altos, California, meets the marketing communications needs of its clients through a unique integrated approach to writing, design, and project management. The award-winning firm is known for customer reference programs, product launches, magazines, newsletters, and other custom publishing initiatives. The majority of TDA clients are Fortune 50 tech companies. The TDA Group creates marketing programs and custom publications for high-technology companies. Combining strategy with precise execution, TDA marketing communications programs gets businesses noticed by the people who matter most: their customers, prospects, and partners. TDA combines creative design, innovative content, and compelling messaging to help clients create widespread awareness, sell products and services, and build long-term communities of customers around their business. 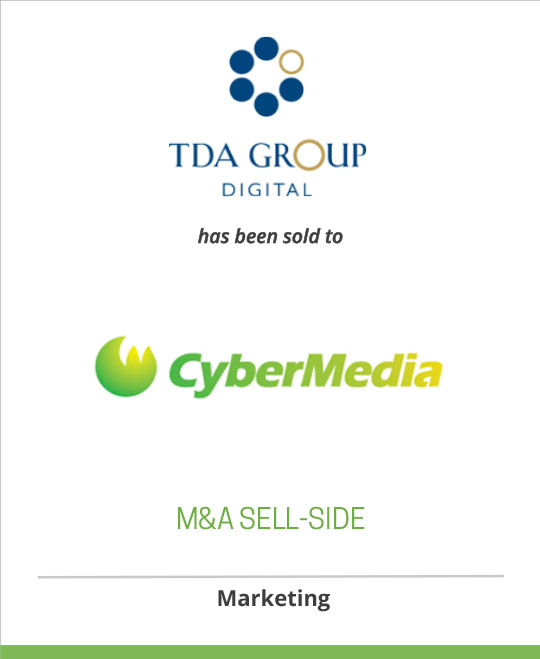 For 20 years, The TDA Group has provided communications strategy and services to high-tech companies ranging from three-person startups to global giants. Clients include the A-list of tech companies: IBM, Intel, SAP, Sun, and many others. For more information about The TDA Group, visit www.tdagroup.com or call 650-948-3140. CyberMedia is the largest specialty media house in South Asia and is amongst India’s top five magazine publishers. The group’s Media business includes 15 publications including Dataquest, PCQuest, Voice&Data, BioSpectrum (India & Asia), Living Digital, Global Services, DQ Channels, DQ Week (Delhi, Chennai, Mumbai and Kolkata), Voice&Data Connect, Dare and Hallsbury’s Law Monthly. The group has twelve websites led by www.ciol.com, India’s largest technology website. CyberMedia Events, the region’s largest organizer of IT events, conducts over 100 events every year. It produces two knowledge based weekly TV programs. CyberMedia reaches out to a community of over 1.5 million people. Its brands have consistently been leading in their respective domains. Its Media Services include IDC India, the leading IT and telecom research company in the region; CyberMedia Careers, an online job board, CyberMedia Services (content and publishing BPO services); CyberMedia Digital, the content distribution company. CyberMedia is the first Indian media company that has launched global media properties viz. Global Services (for the outsourcing community in US & Europe) and BioSpectrum Asia (for the biotech community in Asia). The company has acquired Illinois based Publication Services Inc. The company has a strategic stake in Computer Shopper, USA, the world’s largest computing magazine. Its shares are listed on NSE and BSE.